WHAT DO AMERICANS BELIEVE ABOUT GOD’S existence? 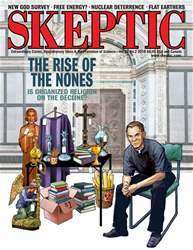 This article examines who most believes in God’s existence and who has shown the greatest reduction in their unquestioning beliefs about God. 1. I don’t believe in God. 2. I don’t know whether there is a God and I don’t believe there is any way to find out. 3. I don’t believe in a personal God, but I do believe in a Higher Power of some kind. 4. I find myself believing in God some of the time, but not at others. 5. While I have doubts, I feel that I do believe in God. 6. I know God really exists and I have no doubts about it.